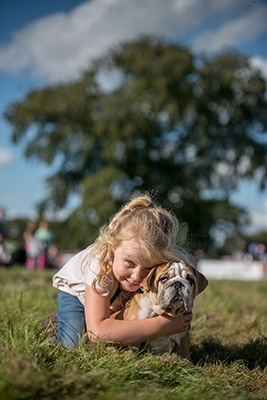 The Hackthorn Dog Show is a fun day out for all the family. The fun dog show is just that, a fun and friendly environment for you, your family and your pet in the main ring of this country show. This annual event is run along side the Equestrian Cross Country competition set in the beautiful surroundings of Hackthorn Hall, just 3 miles north of Lincoln off the A15. The event has grown over the last 4 years to include main ring attractions including Vintage Tractors, Vintage Motor bike display, Falconry Display and chainsaw wood carving. 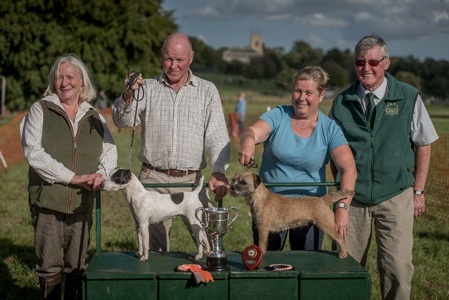 Other sideshow activities in Hackthorn Park include a Gun Dog scurry, Terrier Racing and Archery. The main ring is complimented by a range of country stores and craft stalls with a selection of hot and cold refreshments available. Alternatively, take your picnic into the Park and chill out in the surroundings of Hackthorn Hall and watch the days events unwind in front of you. 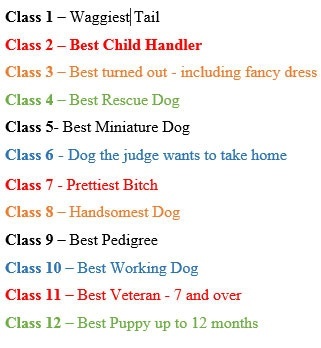 In this years show we will be introducing a separate ring to accommodate the working terrier section next to the ever popular terrier racing. Entries taken on the day.